“Mommy Guilt”. The fact is, all mothers feel it. Maybe not all of the time, maybe not over the same things. (I actually think some of the comments that spurred me to write about Why I’m One of “Those” Moms were born out of Mommy Guilt.) There is something about the immense task of raising another human being that gives us pause and makes us think. That is probably for the best in the long run, it is not a responsibility to be taken lightly. 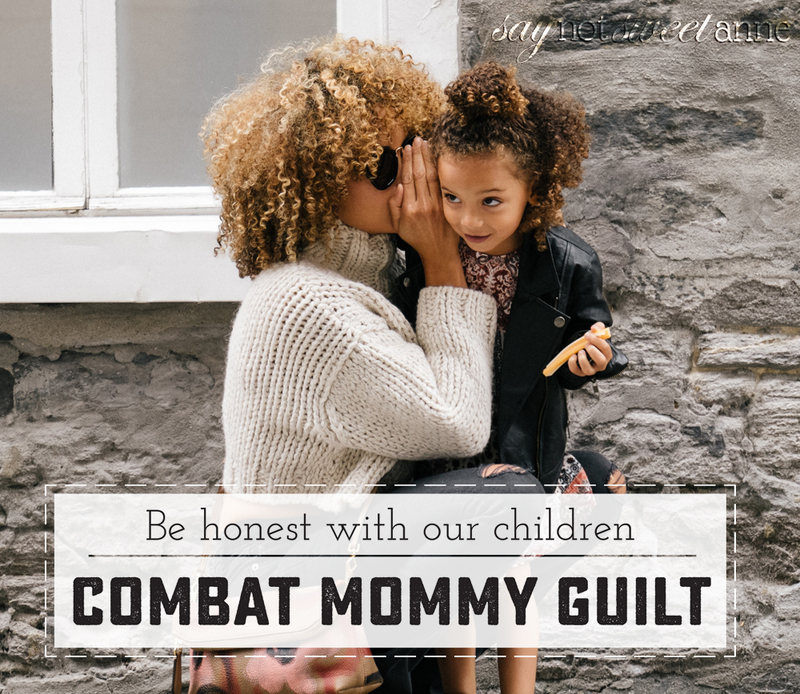 In the short term, however, Mommy Guilt can become absolutely crippling and actually interfere with our ability to be good parents. I strongly believe that you cannot give water from a dry well. To me that means in order to take care of others, I have to first take care of myself. I can’t be fully present with my son while racing through a mental list of all of the other things I should be doing. For that reason, Mommy Guilt has no value in my world. In fact, it is an enemy to be defeated. A usurper that undermines the wholesome and good day to day life that I am living. It has the power to rob me of my joy in being a mother and that my friends, is not welcome. So I’m going to war. I’m arming myself with a few sturdy allies, weapons and defenses and I’m not going to stand for Mommy Guilt any more. Who’s with me!? According to Psychology Today, guilt is an emotion. An emotion that is attributed to an attachment to judgment. That means that you can’t feel guilty about something that you are secure about. I’m not going to let other people tell me what I should be doing, and you don’t have to either. Be confident in your decisions and the guilt can’t eat away at how you perceive your worth. If we can really understand that, then the next step is to understand that emotions aren’t good or bad, they just are! It is how we act after we recognize the emotion that matters. I’m choosing to channel that emotion for good. Yeah, sometimes I don’t manage to juggle everything the way I want to, but that is how I learn grace and humility. There’s no shame in that! Recognize that every family has their issues and no one is perfect. A big part of the Mommy Guilt that I feel has to do with comparing myself to other moms. Usually, perfectly skinny, well put together moms that find more time in a day than I’ve ever seen. Well – I’ll let you in on a secret: Very few people air their dirty laundry. Only clean laundry is what is hung out to dry! That has become my mantra. In fact, sometimes, I imagine that picture perfect mom on Facebook (or a blog!) is having an awful day. I pretend she’s changed her clothes 4 times trying to look nice, has a giant zit hiding under her bangs and her kid ate Cheetos for breakfast. Basically, I see her as another normal mom like me. The snapshot of her life I see is not the whole picture. No one is great at everything. If need be, take a break from social media. Not only will it free up time, but you’ll have fewer people to compare yourself to! Which brings us to being honest with our children. By being real with your child, you teach them it is okay to have a rough day, and it is okay to accomplish less than you had hoped. Children are seeing the same “perfect” parents and children we see – and it’s our jobs to teach them that isn’t reality. Being honest doesn’t mean you have to tell your child everything, but you can say “I’m really feeling down today, instead of going to the play area, can we sit in the sun in the back yard for a bit instead?” The bonus is that there is a real opportunity to teach empathy with this step. When you spy a misbehaving child you can tie it back to the feelings you’ve shared, saying, “I wonder if he spilled cereal in his lap like I did yesterday. Do you think that’s why he’s frustrated?” If I’m going to war with Mommy Guilt, you can bet I’m working on Golden Child Expectations too. Don’t forget about balance. Yes! You need it! We all need a break, and it doesn’t mean we are slacking off. A stressed mom isn’t at her best, so don’t be afraid to hire a sitter so you can take a painting class. You may be away from your child for 90 minutes once a week for it, but if it helps you let off some steam, then you’re likely to be a better mom the rest of the day. Read this article about Mommy Burnout– it is real! Balance isn’t only about time. For me, it means buying some of the things I would normally make, because my time is valuable. It means I’m bringing a cheese plate to a potluck instead of 2 hand made dishes. For some it means that if you try to be “green” but end up using disposable diapers, you realize life will go on – you cannot do everything all the time. Take up meditation or prayer. Be it talking to God or just thinking through your thoughts, both are shown to help calm the mind. Whether you’re religious or not, you can listen to your internal voice, have a few minutes of focus and continue on your day. According to a small study by Luciano Bernardi, both prayer and mantra caused striking, powerful, and synchronous increases in existing cardiovascular rhythms when recited six times a minute. This shows that real change can come from that tiny pocket of “me” time, that effort to calm and focus. And let’s face it – a calm and focused mom is a much happier mom. 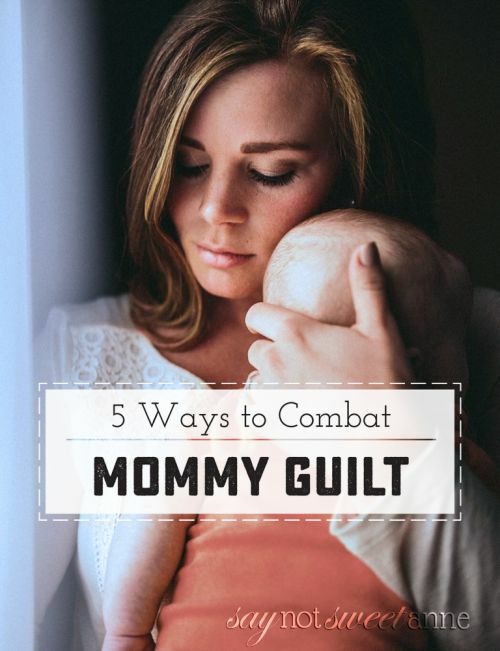 What if you need more help getting over mommy guilt? Okay, so you do all of these things – what if it doesn’t don’t work? Don’t be afraid to get help. I’m not ashamed to say I have a psychologist I see pretty regularly. Your mental health shouldn’t be set aside as not important. It is! 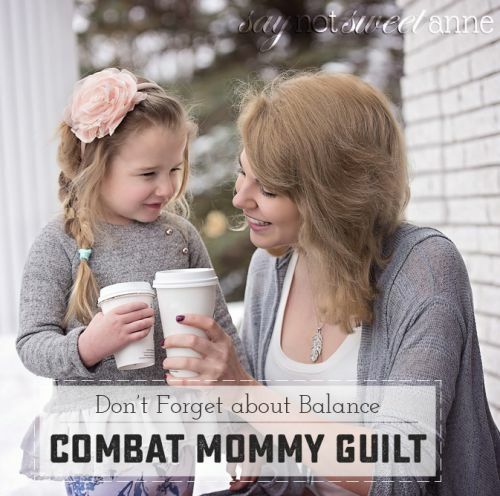 If you really aren’t able to stop the feelings of mommy guilt or inadequacy, make an appointment with your family practitioner or a mental health professional. There is nothing wrong with consulting an expert. You wouldn’t let your car struggle without consulting a mechanic now would you?